Texas Institute of Chest and Sleep Disorders, a practice specializing in pulmonology, is dedicated to serving the pulmonary needs of Houston and Pasadena, Texas, and the surrounding communities. Texas Institute of Chest and Sleep Disorders focuses on the diagnosis and treatment of the following pulmonary diseases and conditions: ARDS (acute respiratory distress syndrome), asbestosis, asthma, bronchitis, chronic cough, COPD (chronic obstructive pulmonary disease), cystic fibrosis, emphysema, hemoptysis, lung cancer, obstructive sleep apnea, pleural effusion, sarcoidosis, solitary pulmonary nodule, and tuberculosis. 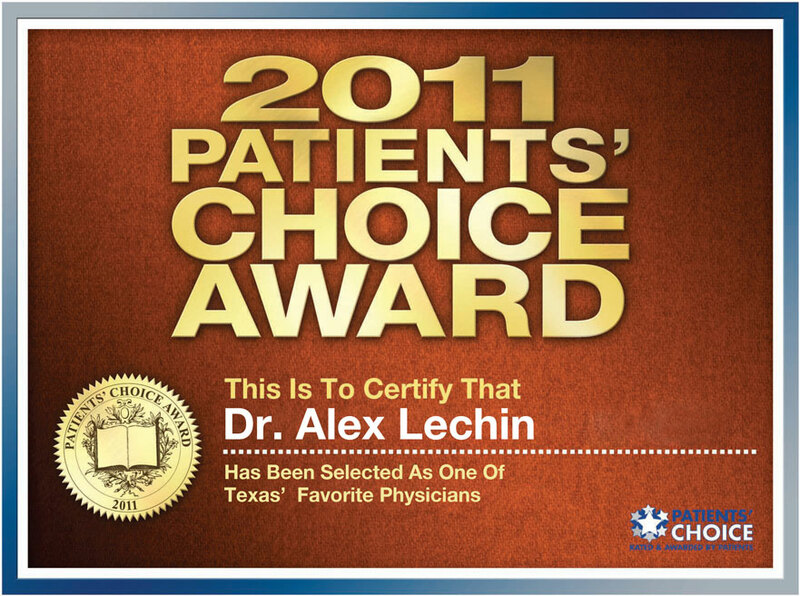 Alex E. Lechin, M.D., F.C.C.P. For more information on our physicians, please see the Physicians page. Texas Institute of Chest and Sleep Disorders also offers the following diagnostics: blood gas analysis, bronchial provocation, bronchoscopy, closed pleural biopsy, peak expiratory flow, PFTs (pulmonary function tests), polysomnogram, spirometry, and thoracentesis. 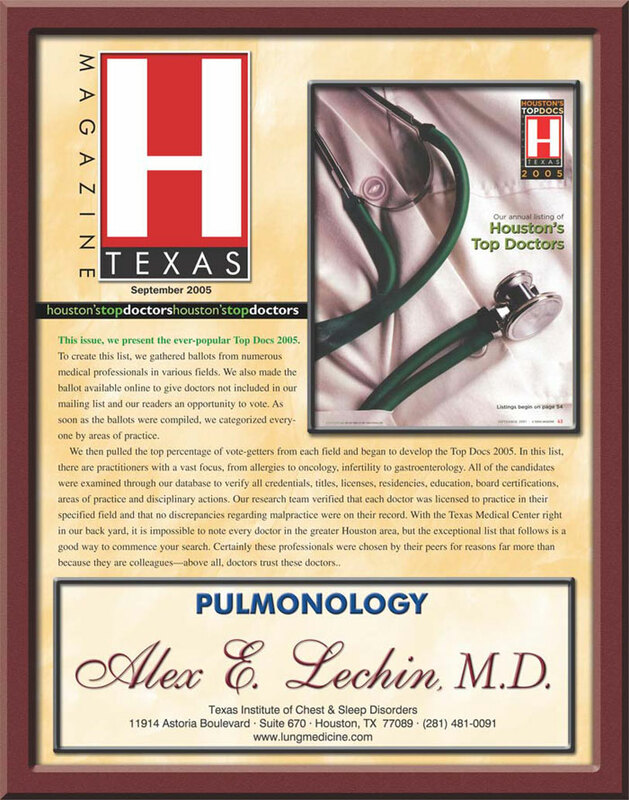 Learn more about Bronchial Thermoplasty a service now being performed by Dr. Alex Lechin. A pulmonologist is a physician who possesses specialized knowledge and skill in the diagnosis and treatment of pulmonary (lung) conditions and diseases. Pulmonology is classified as an internal medicine subspecialty.